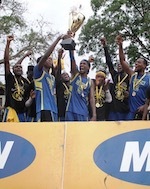 Fans of the Accra Basketball League (ABL) were primed to endure almost a month long break in games due to this year's edition of Ghana's National Sports Festival which was due to commence on August 12. The multi sport competition was scheduled to be held at the Robert Mensah Stadium in Cape-Coast but was indefinitely postponed earlier this week to allow Ghana's athletes prepare adequately for the upcoming All Africa Games in Morocco next year. 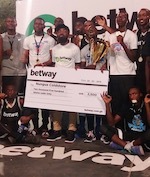 This has thrown the plans of the ABL Board into disarray given the body made plans to ensure players were released early to join regional teams of their choice to participate in the games. However, the new development suggests the league will be back sooner than expected. Games were set to recommence on August 23 with six teams in the Women's Division and nine teams in the Men's Division I ready to round up the 2018 regular season. Games could return as soon as August 11. This means Female Division leaders Ghana Police Service will have the chance to continue its winning momentum towards ending Braves of Customs stranglehold on the division. Police has a three point lead over second placed Braves. In the Male Division, defending champions Braves of Customs are coasting to another top finish as the unbeaten side sits atop the standings with 22 points; Police is in second place with 21 points. On the lower end of the division, DC Dynamics is still without a win after 12 games.